Hello everyone! So I mentioned at the start of the year that I wanted to focus my single reviews on high-end products, because sometimes they can be quite the investment. 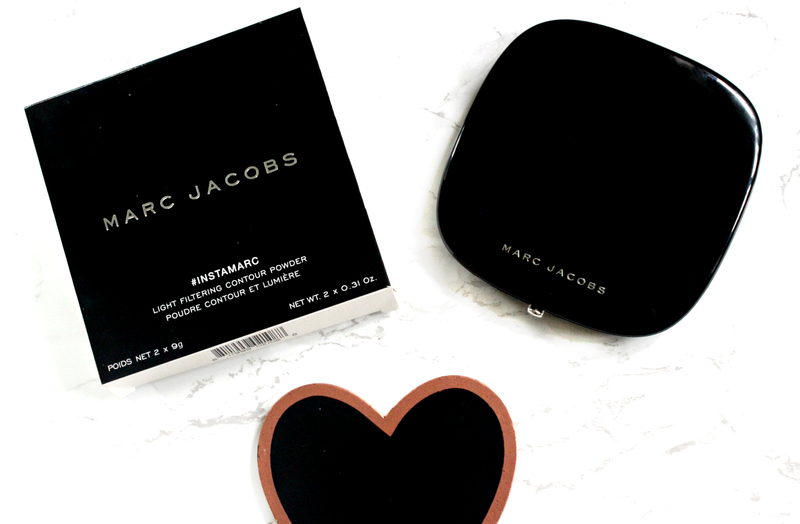 So today I will be reviewing the Marc Jacobs #Instamarc Light Filtering Contour Powder in Mirage Filter 40 which I purchased from Sephora for $49.00 which is a staggering £34.37! So yaaas, that’s super expensive, it was definitely a moment where I was insanely excited to be placing my first Sephora order and I just bit the bullet and added it to my cart. The really good news for us UK girls is that Marc Jacobs beauty is now available from HARRODS! Which means we don’t have to pay the extra shipping and taxes on anything Marc Jacobs from Sephora - WOOP WOOP - you can actually purchase this very product that I’m reviewing for £33 from here. Hi-Fi Filter which is more neutral in tone and suitable for darker skintones. It also has a huge mirror inside which is one of my favourite things about it, because it’s so useful for when you’re doing your makeup on the go. I think we’re all been there, when we’re trying to do most of our makeup from a small eyeshadow palette mirror – not a fun experience! So the packaging on the whole gets a thumbs up from me, the powders themselves take up most of the space which is great. I hate it when brands made the pans tiny and waste space. 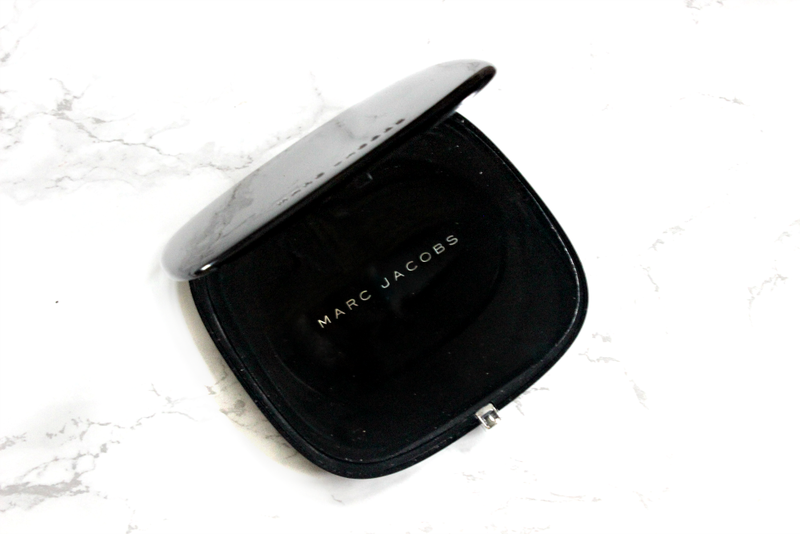 Also included is a plastic sheet which says Marc Jacobs on it, it fits over the powder and protects the mirror from getting dusty. A nice touch, but I’ve ended up taking it out because sometimes it makes the lid harder to close. What really drew me to pick this palette up, was the simple fact that it contains a highlight shade and a contour shade which looked like they went together very well. Mirage filter is the perfect one for medium skintones, it contains a wonderful yellow shade and a great contour shade which has the most perfect mix of brown and grey. In the pan the highlight shade looks super intensely yellow, however when it’s actually applied on the undereyes it doesn't look as yellow. It does a decent job of brightening up the area. The powder itself is extremely smooth, because the texture is very very fine. This means that when dabbing the brush into the pan it does kick up a bit of powder – not ideal, but it’s not the end of the world for me to be honest because I’ll just go back in with the brush, pick up the excess and continue to set! I like using the yellow powder over all the area’s which I highlight, so the chin, center of the forehead down my nose too. 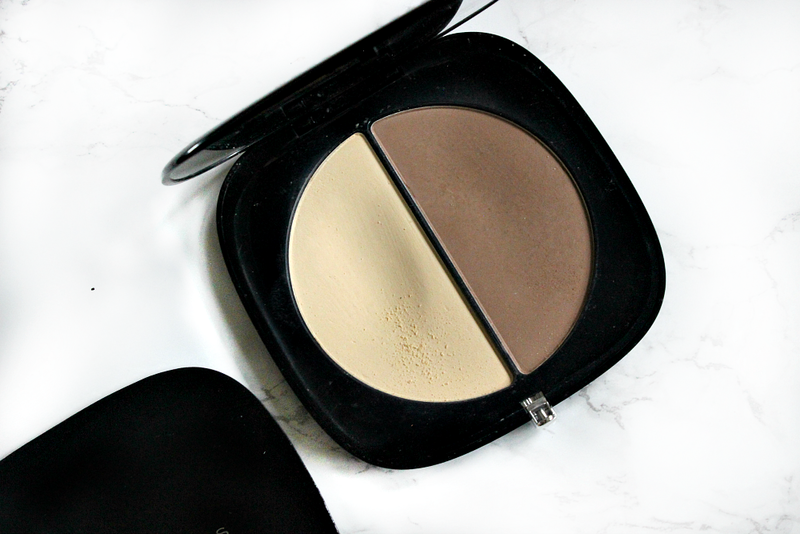 Now the reason I’m not head over heels with this, is because I find that although the yellow shade does brighten…it’s just not as good of a setting powder as the Kat Von D Shade and Light contour kit (review) yellow shade. I find that unless I really layer this powder up at least twice, my concealer will crease a little under the eyes within 20 minutes. 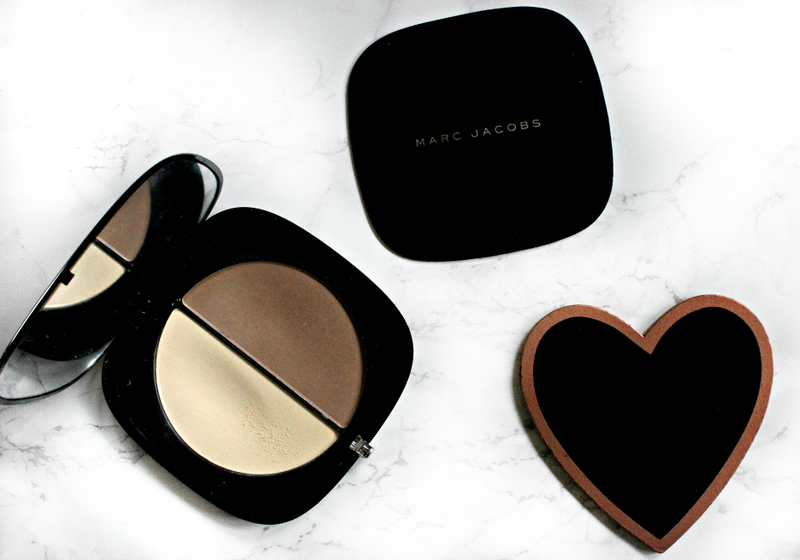 Whilst I do have annoying fine lines under my eyes, there are powders which stop this from happening and this Marc Jacobs one struggles a little! The contour shade on the other hand is one of my absolute favourites, there aren’t many shades in my collection which match up to this. It strikes a wonderful balance between brown and grey, meaning it can really achieve a subtle daytime friendly contour with little effort. I love contouring and it makes such a huge difference when you don’t contour with a deeper colour and take a photo. HOWEVER sometimes when you’re like me and you’re in a rush to do your makeup in the morning, grabbing a contour brush means walking around with two kinda harsh stripes on the face, which is never a good look EVER. So this powder really sculpts the cheeks and the nose in such a natural way that I feel like my features actually look slimmer. It is similar to benefit’s hoola, but even better. For the daytime I use a tiny bit and it does the job, for a special occasion or night out I build it up a little and it still looks wonderful! The swatches aren’t great, they certainly don’t do it justice but I shall have some #MOTDs on my IG in the next few weeks so hopefully you can see what they look like better on my skin. Pros: 😃It has a huge mirror making it great for traveling. You get two core shades, one for highlight and one for contour which is all most people need (and want). The quality of the powder is wonderful, very smooth and creamy with buildable coverage. The powders literally melt into the skin, they don’t sit ontop, it doesn’t look cakey and best of all both sides of the powders look very natural and not harsh in any way. 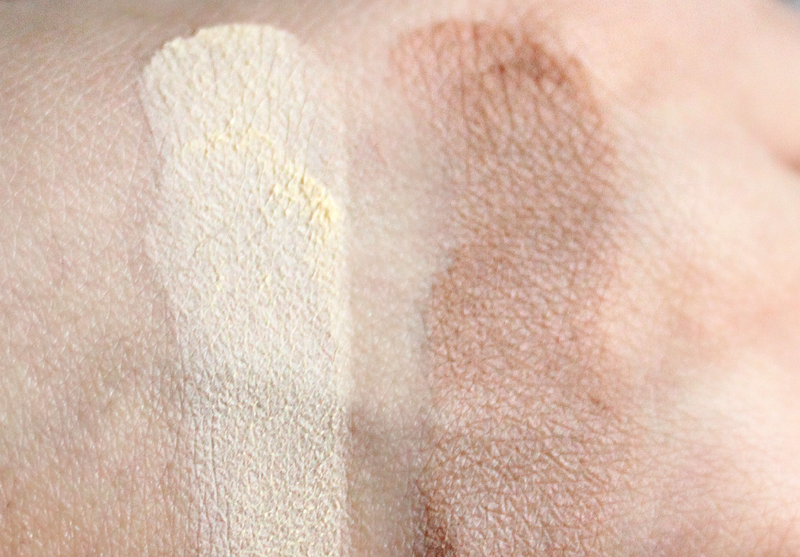 I feel like this particular duo will suit a variety of skintones and in general most skintones are covered across the three options available. The contour shade is the BEST. It creates believable definition which you can intensify or simply apply a little. I have never had a muddy or dirty looking contour when using this and because the formula is so smooth, it blends like a dream, meaning no harsh stripes either! Although this is a pricy duo, you get a LOT of product, its 18g in total I believe! So it’ll last me quite a long time. I have had this since the start of June 2015 and I’ve used it quite frequently without hitting pan yet. Cons: 🙁the highlight shade, which is the main reason why I was so excited for this, just didn’t meet my expectations. I have to layer it up for it to not crease, which isn’t too much of a big deal in the grand scheme of things, but when you think about the price it’s not the best! Repurchase? Like I said I’ll have this duo for a while because it is so large, however I don’t think I’ll be rushing to repurchase when I do finish it. The Kat Von D shade and light kit for me is more versatile as it has bronzers and lighter/darker highlighting shades as well as a great contour shade and it costs slightly less. 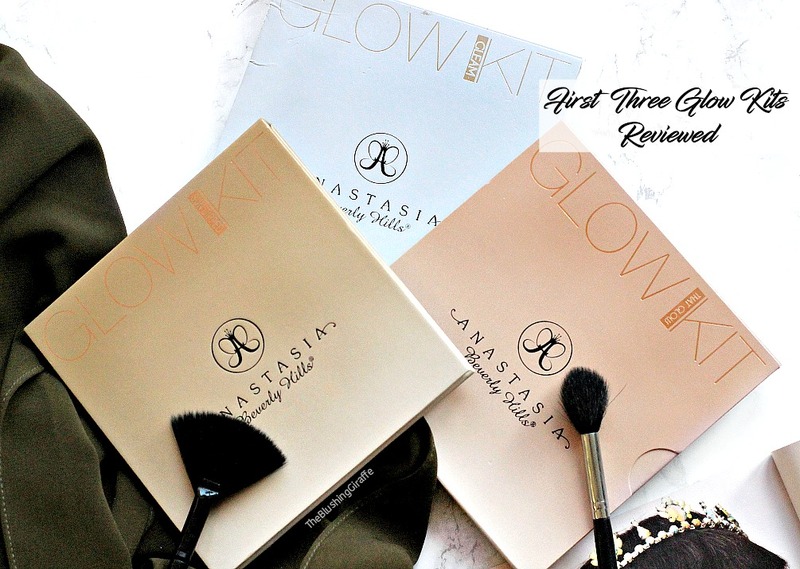 You’ll like this if: You don’t need a particularly strong powder to set your undereyes, if you don’t have creases under your eyes, if you’re not big on the highlight and contouring trend but want a product which contains the two basic and essential shades, if you’re looking for the perfect contour colour and don’t want to purchase a large 6 pan kit. Overall: I really enjoy how finely milled this is and I find the yellow shade does brighten and slightly blur/airbrush the skin which is so lovely! The contour side is perfection, they did very well with this colour and it's my go-to. I'm really glad I picked this up back in May, although it didn't quite meet my expectations, it's a great addition to my collection and I am enjoying using it! Plus it looks oh so chic on my dressing table (not that this is a deciding factor when spending so much money one one item haha). Have you tried this duo? What is your favourite contouring product?